Google is largest search engine in the world and no any other search engine can compete it. Every internet user has to deal with it. People were use Yahoo, MSN and Bing first but with the passage of time, Google has become more popular and more reliable due to his easiness. Every blogger and any site owner think about Google search after creating his/her site. All the people in the world know much about Google and they find their problems on Google Search. Every blogger has to add his/her blog to Google otherwise his/her blogger will not be popular and blog traffic will always very low. Some people like to search in Yahoo, Bing, Msn, and Ask because they like the style of these search engines but Google provide easy and reliable search results. So, most of people use Google. It is very important to add your blog/site to Google so that your blog traffic will increase in days. 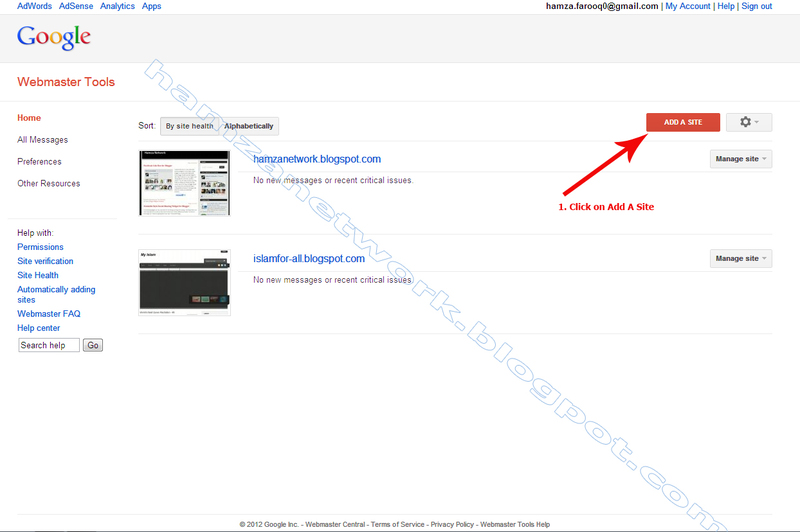 Below is a full article for adding your blog/site to Google. 1. Go to Google Webmaster Tools and Click Sign in to Webmaster Tools. 2. 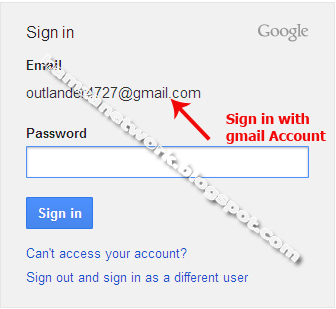 Now Sign in with your Gmail account. 3. When you have signed in, your dashboard will look in front of you. You have to click on Add a Site button placed on top-right of your dashboard. 4. Now type your Blog/Site url in text field and click on continue. 5. Now Google will ask you to verify your blog/site ownership. Google will give your 3 or 4 options to verify your site ownership. 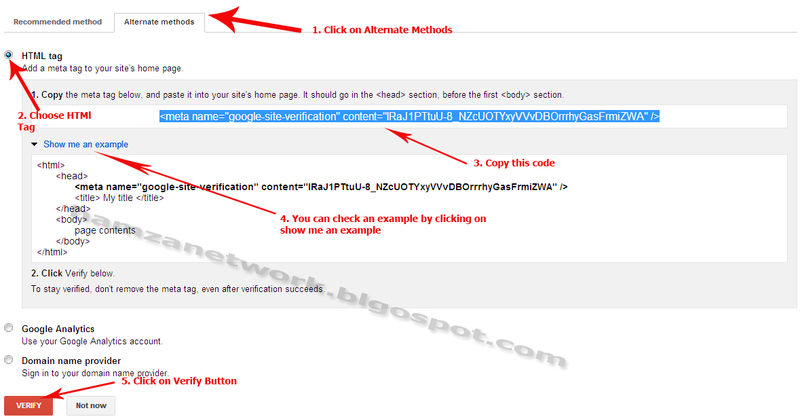 Click on Alternate Methods, choose HTML Tag and copy the meta tag code. 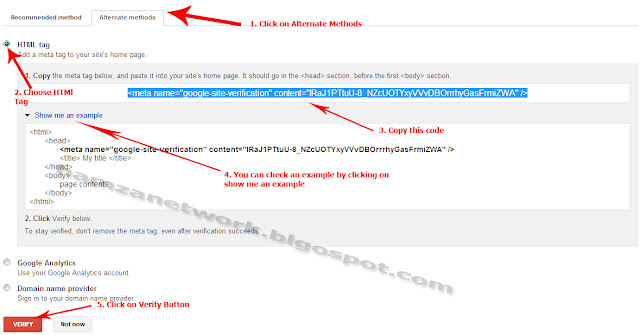 paste the copied Meta Tag code just below it and click on verify button. 7. After verification, Click on Add/Test A Sitemap button placed on the top right of your dashboard page. 10. you can change the red code according to the number of your posts in blogger but it always should be in hundreds. Last thing i want to tell you that Google will take some time (24 hours) to index the contents of your sitemap. hello i already did this but i received this message on 9 novemebr 2012. "Over the last 24 hours, Googlebot encountered 1 errors while attempting to access your robots.txt. To ensure that we didn't crawl any pages listed in that file, we postponed our crawl. Your site's overall robots.txt error rate is 100.0%. 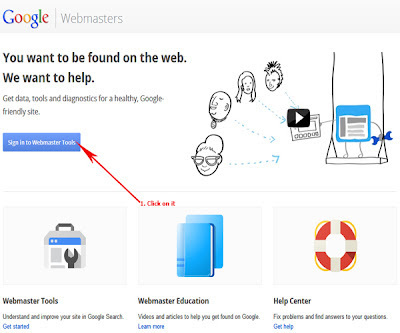 You can see more details about these errors in Webmaster Tools." 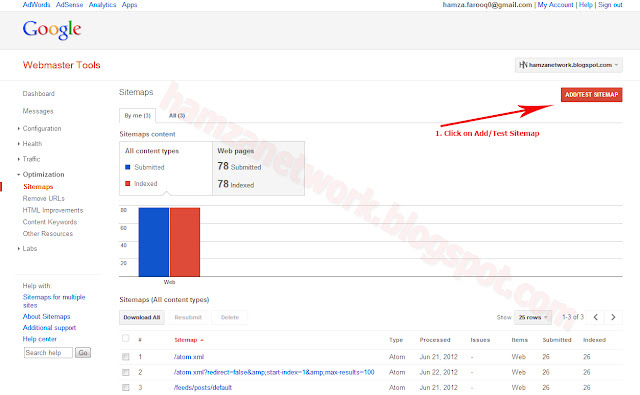 i rectify this by my way and add sitemap but indexed is still pending on 17 nov 2012 what should i do. I am waiting for please help me. You have explained every part of adding sitemap. Good work. I like your site & can see efforts you have taken. All the best.